Whether you own a house, rent a property or operate a small business in a disaster-designated area, you may be eligible for financial assistance from the U.S. Small Business Administration (SBA). You don’t have to own a business to take advantage of these long-term, low-cost loan programs offered by the SBA either. For disaster recovery costs that are not covered by insurance, SBA loans can help. The SBA database contains an updated list of areas designated by the President as disasters. If your property loss is in an area officially designated as a disaster, certain SBA loan programs can be extended to you, if you meet the criteria. Low-interest loans are available to help you restore your primary residence to its pre-disaster condition. Vacation properties and second homes do not qualify for this loan program. SBA disaster loans cannot be used to upgrade your property unless the building code requires it. Disaster restoration projects that do not qualify for an SBA loan may be covered by their refinancing plan. Properties that qualify may be refinanced for up to 20 percent more than the remaining mortgage balance if those funds are to be used to improve the property to protect it from future disasters. Renters may also qualify for SBA disaster relief loans to replace lost personal property. A maximum of $40,000 could be available for each qualified renter to be used on furniture and other belongings that are not part of the structure of the residence. Expensive items such as antiques and collectibles cannot be replaced using these funds. SBA offers disaster relief loans in five different categories to cover most financial losses from a disaster, including home, business, farm or military. To be eligible for financial assistance from SBA for physical losses from a disaster, you need to be in a declared disaster-stricken area. Most non-profit organizations qualify for this type of assistance, as well as any size businesses. To benefit from this program, you must have a business declared to be in the area which has suffered the disaster. The term of these loans is restricted to three years for businesses that have available credit elsewhere. If you cannot borrow the money you need to restore the physical aspects of your business following a disaster, you could be eligible for a 30-year loan from SBA. Repayment terms are set on an individual basis based on your ability to pay. The application process requires several documents, many of which should be notarized before submission. The completed loan application along with a dated and signed IRS form 8821 should be submitted, thereby rendering permission to IRS, to provide your tax return information to SBA. A schedule of liabilities and a personal financial statement are also required. In addition to these documents, you may be required to submit recent profit and loss statements. For some businesses, the physical damage from a disaster may not be serious, but there is substantial economic injury. This SBA loan program is designed to help those businesses recover from economic losses so they can resume operations as quickly as possible. Economic injury may include financial obligations your business can no longer meet because of the disaster. These loans are not meant to rescue businesses with financial troubles before the disaster. EID loans provide positive cash flow while your business is recovering from disaster. If your small business or non-profit organization is located in a declared disaster area and has suffered economic injury from the disaster, it may qualify for an EID loan. You may also qualify if you are located in a contiguous county to the disaster area. Your ability to repay the loan is considered when setting the terms. Up to $2 million is available in SBA disaster loans for each qualifying business. EID loans do not include closing fees or penalties for early repayment. You can apply for an EID loan online by completing an application form. You will also be required to submit a tax form allowing the IRS to send your tax information to SBA. The SBA makes up to $200,000 available to qualified homeowners for disaster recovery. These are loans and not grants, so they must be repaid. Even so, the SBA can offer them at a very low interest rate with no additional costs and fees. Those who qualify may also refinance their mortgage through SBA and extend the amount of their loan. Refinancing can lower monthly mortgage payments and free up additional cash for home repairs related to the disaster. By extending the term of the mortgage, SBA can potentially lower the number of monthly payments. Eligible homeowners will be located in the designated disaster area and have sustained physical damage to their property. Renters who suffered the loss of personal property may also qualify for these types of loans. Similar to any other disaster fund borrowed from SBA, the home and property disaster loans are also free from any upfront or early repayment penalty charges. Financial assistance of up to $40, 000 dollars may be provided to renters to repair or replace their personal property, while a sum of up to $2 million can be loaned to homeowners to rebuild their primary residence. The SBA sets repayment terms based on their assessment of a homeowner’s ability to make payments. The application process for the home and property disaster loans is the same as the other loans provided by SBA. Significant documentation of physical loss and financial circumstances are required and should be notarized. Pay the expenses of the production for the disaster year partly or wholly. If you are a farmer or a breeder, then you can borrow an Emergency Farm Loan if you have satisfied the following conditions. Your farm area has been designated as a quarantined or disaster-affected area by the President or the Secretary of Agriculture. 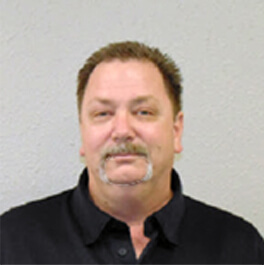 You are an experienced and established family farm operator. You can provide a guarantee for securing a fund. If you’re eligible for this loan, you can borrow up to 100 percent of your production or livestock loss, ranging approximately up to $5 million. Apart from the other terms and conditions applied, the losses incurred in case of production of crops and livestock must exceed the limit of 30 percent. The loan repayment tenure may range from 20 to 40 years depending on the seriousness of the loss. To apply for this loan, you must submit your form along with all your necessary documents to your nearest USDA service center or FSA office. A Military Reservist Economic Injury Disaster loan is meant to help a business cope with economic hardship brought on by the absence of an employee who is called to active duty in time of crisis. In case of a disaster or other emergency demand for military reserves personnel, an employer is required to hold open their jobs. This may necessitate hiring temporary staff to complete the job in their absence and can pose an insurmountable economic hardship on the business, especially if active duty continues for an indefinite period of time. A business owner has to demonstrate a financial hardship directly related to the absence of a military reservist to qualify for these loans. They are not available to anyone who has other means of recovering from the financial loss. SBA requires reasonable assurance that the business will be able to repay the loan in the form of collateral valued at $50,000 or more. SBA considers available real estate as a guarantee. SBA will not deny assistance to a business without collateral, but the borrower is required to provide any collateral available. The maximum amount of the funds potentially available to a single business entity is $2 million. The interest rate depends on several circumstances but will not exceed 4 percent annually. The maximum term of these loans is 30 years, and its maturity is truly based on the borrower’s ability to repay the sum. At their own convenience, the borrowers may apply online for disaster loan assistance from SBA. SBA disaster assistance loans make it possible for businesses and individuals to recover financially after a disaster. These loan instruments fill some of the gaps left by most insurance policies and other disaster relief support. Determining your eligibility is the first concern following a disaster. 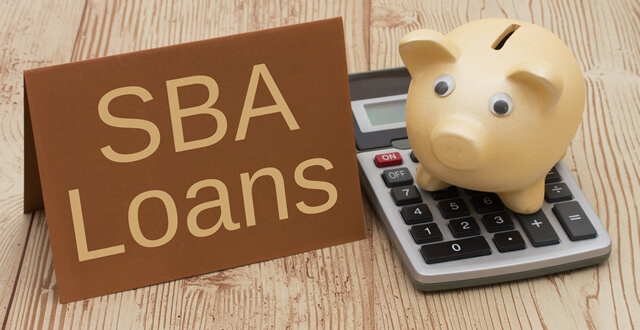 Since each SBA loan type requires a separate application, it’s important to understand which one you might qualify for. Business owners should initiate their application immediately through the online procedure. The SBA website is the fastest way to receive a positive determination. Irrespective of the size of a business, the economic loss can be covered by applying for up to $2 million of financial assistance. The application may also ask for additional items such as information about your business type and size. The application may also request an in-depth record of any of the items listed at any point during the application procedure. To support your application, you should keep digital copies of all relevant records. It must be understood that not everyone who applies for financial assistance will be designated eligible and that the procedure takes time to go through. Therefore, to ensure your eligibility for the financial assistance, you must consider these criteria and be patient while the procedure is going on. If you feel that your disaster needs to be covered, and it is not, then you may immediately go to the local officials to get registered. When disaster strikes an area, local officials ask for help from the Federal Government. The Federal Government, in turn, seeks the assistance of different organizations that could extend their help through financial assistance in the disaster-designated area. The SBA disaster relief loans help people to overcome the situation and rebuild their homes and businesses to get them on track. Apart from SBA disaster recovery loans, other organizations also extend their financial help to the survivors. A mortgage can help homeowners use existing equity in their homes to pay for restoration following a disaster. Mortgage loans can be extended with favorable terms to homeowners who live in disaster-designated areas. SBA and other organizations are always a step ahead to help you cope up with disaster-related circumstances. They are always waiting to extend you their financial help while you are struggling to get back on track — whether it’s your home or business that was affected by a disaster. All disaster loans from SBA and other organizations require documents to be notarized. Find a mobile notary in your area and schedule notary services to be available on-site when and where you need them.